We say: There are actually a lot of implications behind this revelation, and none of them are good. Let's just talk about the obvious one here—Reigns forgetting his lines are proof that you're not gonna create a hot worked shoot feud if you're going to continue manufacturing and pushing artificial elements. 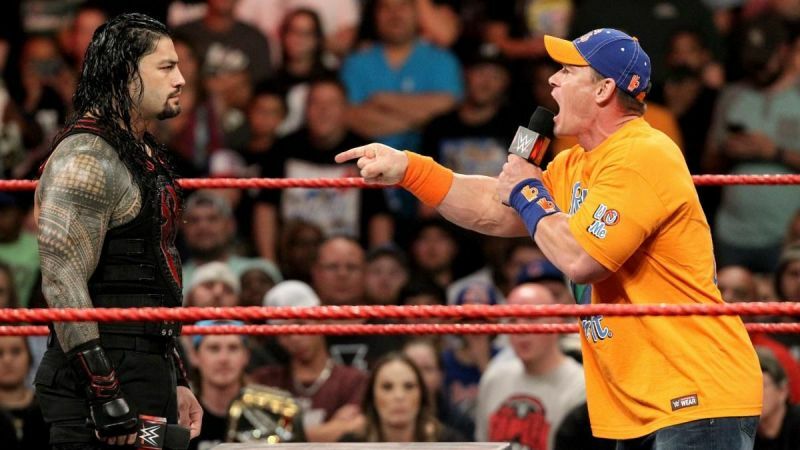 Reigns and Cena, John most especially, should have just been given talking points and told to let loose. They've already prematurely ejaculated this feud, but there's still time to save it. We say: Let's hope that Woods actually is okay. We say: Despite the Fashion Files being great, they really do need to get on with this before it turns into this year's Anonymous RAW GM storyline. Fashion Files' plot needs to move forward already (especially now that they're on their second season) and they're not doing any favors withholding the attackers. More so if it's not really the Ascension.